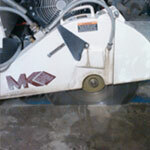 Click Here To Make Your Concrete Sawing Project Go Smoothly! You never know when you might face a project that involves cutting concrete, asphalt, curbs, or any masonry material. That’s why Rock Hammer Demo maintains a large, modern inventory of indoor and outdoor appropriate concrete cutting tools to handle any job. Our trained, certified staff of concrete cutting technicians will efficiently complete their task, remain on budget and provide professional service to make your project go smoothly. You have already taken the Step One toward solving your concrete sawing problem. 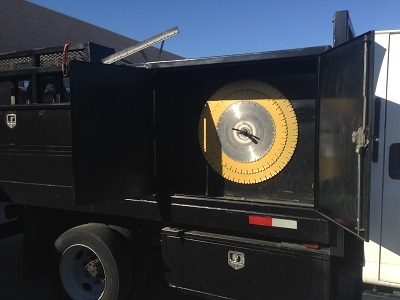 Concrete sawing, asphalt and masonry is our forte, every day. That’s why Rock Hammer Demolition is available ’round the clock. Your project can’t wait… and emergencies are our specialty. Whether it’s a residential plumbing challenge buried beneath a concrete floor or an opening that needs to be cut in a concrete or masonry wall, our concrete cutting expertise and commitment to availability combined with a fanatical approach to quality makes Rock Hammer Demolition the choice for all your concrete sawing challenges. We serve the Orange, Riverside, San Bernardino Counties as well as Greater Los Angeles Metropolitan Area. Concrete sawing projects are never the same. Thickness, hardness, interior, exterior, weather conditions and age all play a role in the challenge each job poses. But don’t worry. 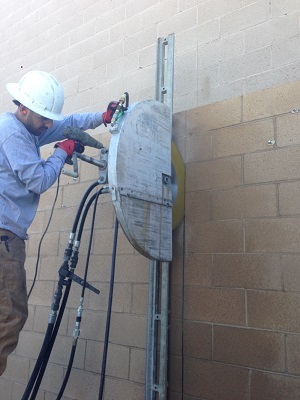 Our technicians have years of experience solving problems from confined space cutting, working around multiple trades or no emissions cutting to working hours when higher noise levels are exceptable (off hours or weekends). Rock Hammer Demolition techs never assume a problem is too difficult to solve. We love problem solving, it’s what we do. If you’re in Orange County, Riverside County, San Bernardino County or Los Angeles County, a solution to your problem is just a phone call away. Now take Step Two and give us a call or CLICK HERE to send us a message and we will call you right away.